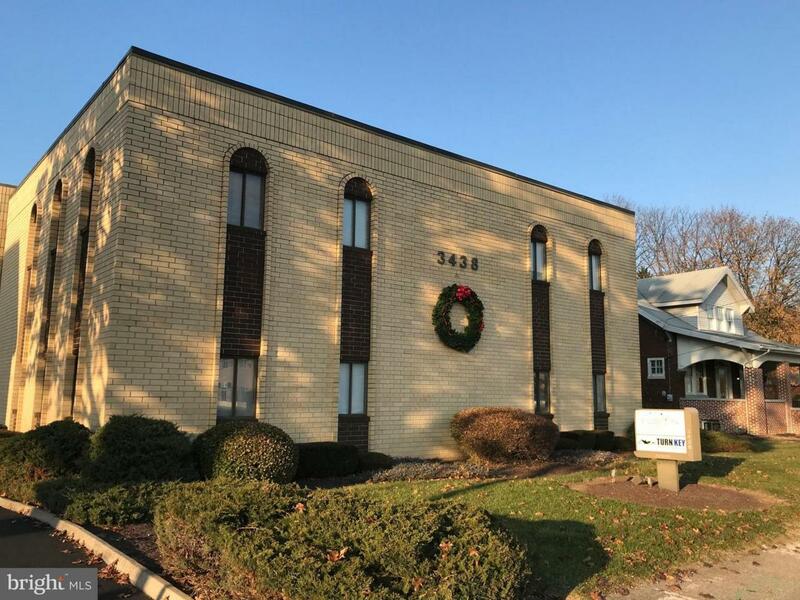 Space is former doctor's office suitable for medical, legal, accounting, engineering or other general offices.Owners is a Pennsylvania Licensed Real Estate Broker. Call Agent for Owner for inspection or to discuss. Zoning Description Offices Are A Permitted Use. Please Check Camp Hill Zoning Ordinance To insure That The Use You Have is Permitted. Accessibility Features 2+ Access ExitsLevel Entry - Main Association YN No Business Type Professional/OfficeCommercialMedicalProfessional Service Central Air YN No Current Use Vacant Electric 200+ Amp Service Elevators 0 Entry Level 1 Foundation Details Slab Heating Fuel Electric Hot Water Electric Incorporated City Name Camp Hill Navigable Water YN N New Construction YN No Number Of Units Total 3 Original MLSNumber 301107679065 Owner Pays Accounting/LegalAir ConditioningAll UtilitiesCommon Area MaintenanceElectricityGasHeatHeater Maintenance ContractInsuranceLawn/Shrub CareManagementSewerSewer MaintenanceSnow RemovalTaxes - Real EstateTrash CollectionWater Ownership Interest Other Property Sub Type Office Purchase Optional YN No Rent Includes ElectricityGrounds MaintenanceHeatHvac MaintInsuranceLawn ServiceParkingSewerSnow RemovalTaxesTrash RemovalWater Sewer Public Sewer Tenant Pays Cable TvJanitorial ServiceLight Bulbs/Filters/Fuses/Alarm CareMinor Interior Maintenance Utilities Electric AvailableNatural Gas AvailablePhonePhone ConnectedSewer AvailableWater Available Vacation Rental YN No Water Source Public Zoning Cn Zoning Description Offices Are A Permitted Use. Please Check Camp Hill Zoning Ordinance To insure That The Use You Have is Permitted.